LORDS PETITION HEARINGS 2016 – Residents living close to the tunnel in Ruislip, and various groups and residents in Ickenham and Harefield sent in petitions and had them heard in the House of Lords. The Select Committee’s report and the response from HS2 can be found here. ZAC GOLDSMITH VISITED LOCAL RESIDENTS (April 2016) – Zac Goldsmith met HS2 actvitists from Ruislip, Ickenham and Harefield to hear their concerns first hand. He told residents about a meeting he had arranged with the Transport Secretary, This meeting has now taken place. Click here to read the press release about it. 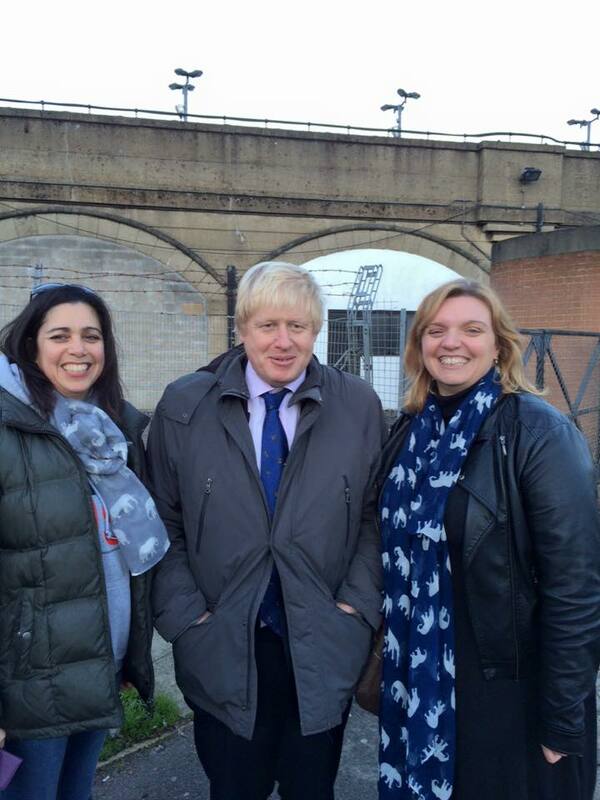 BOR IS VISIT TO RUISLIP (January 2016) – Boris Johnson MP visited residents and local businesses to hear in detail about all the issues we are still facing in the area, and how little HS2 is doing to listen to, support or respond to residents. Read more here. PETITION (January 2016) – As we all watch the news of the floods in other parts of the country and even see flood warnings in our own borough for the River Pinn we urge you to sign and share this petition that highlights the issue of spending public money on vanity projects vs. genuinely needed projects. ICKENHAM & HAREFIELD (January 2016) – Residents associations in Harefield and Ickenham continue to work petitioning against the seemingly never ending additional provisions. If you are directly affected or local to these impacts please get in contact and get involved.